We've upgraded our server to PHP 7.1 and CSPR.NG is now on dev-master from Github. This is just a notice in case something breaks. CMS Airship Version 1.1.0 is out! Get it while it's hot. 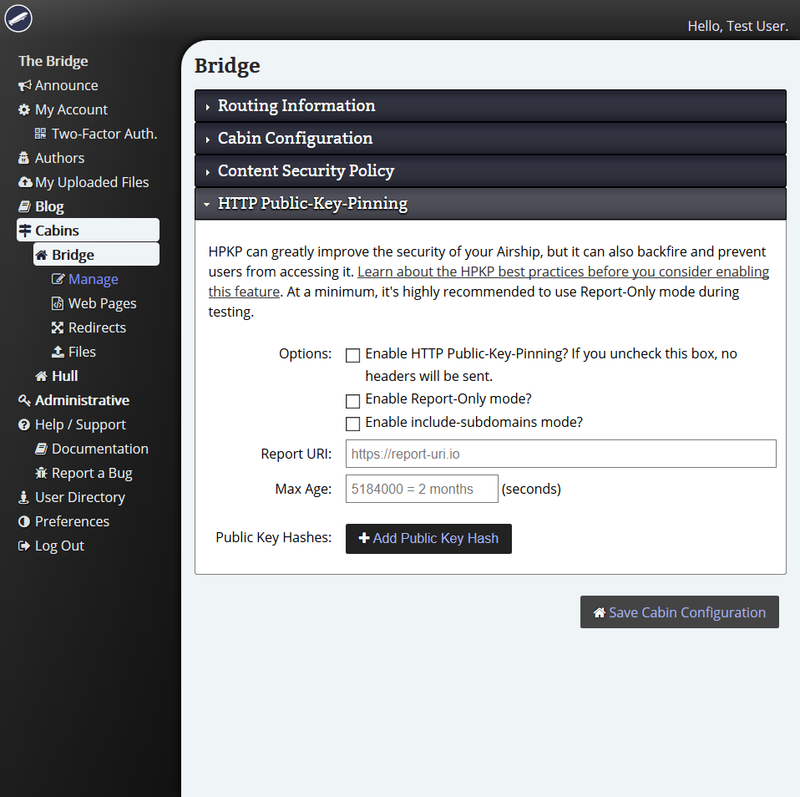 If you've enabled minor updates in your Bridge, this update should be applied automatically. When we released version 1.0 earlier this week, we weren't counting on receiving as much great feedback from the community, and we certainly didn't expect anyone to contribute significantly enough to tag 1.1 so soon. I'm delighted to say, our expectations weren't high enough. Welcome to the public CMS Airship beta. This domain demonstrates unreleased, in-development features of our upcoming CMS. What you are seeing is the current master branch. As soon as v0.2.0 is released, we'll begin working on the features for v0.3.0 and they'll be publicly visible here.